CATCH MORE FISH and CATCH BIGGER FISH - Check out our NEW GEAR for 2009! 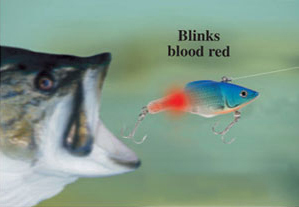 the lure) to BLINK blood red pulses, automatically – as soon as it hits the water! 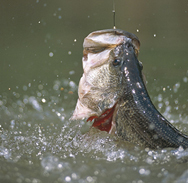 one bass every 7 minutes! - May catch too many fish! - Patent Pending. Not in stores. 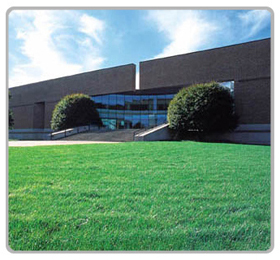 ScientificFishing.com is a Connecticut–based company that has been using science to improve product-performance for 30 years. ScientificFishing.com utilizes scientific principles and creative concepts to develop unique lures that are more effective and lifelike than any other lures out there. 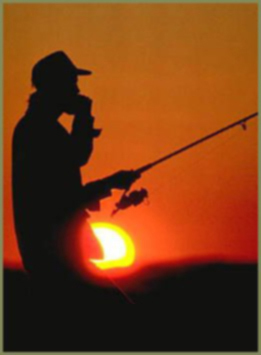 The more lifelike a lure is, the more fish it will catch you – which is the ultimate goal at ScientificFishing.com. In fact, our lures are so life like, one of them – the KickTail® won a major award - "Best New Lure" at Europe's largest sports show! Our other lures are equally as impressive. There have been over 10 MILLION Walking Worms® sold. The Bite Light® is so effective, one sate has actually have banned it!